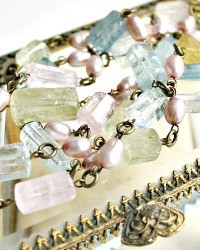 Discover the enchanting beauty of confectionary pastel suite of graduated beryl faceted tubes in soft blue/green aquamarine and delicate pink morganite in this one-of-a-kind collectable necklace. 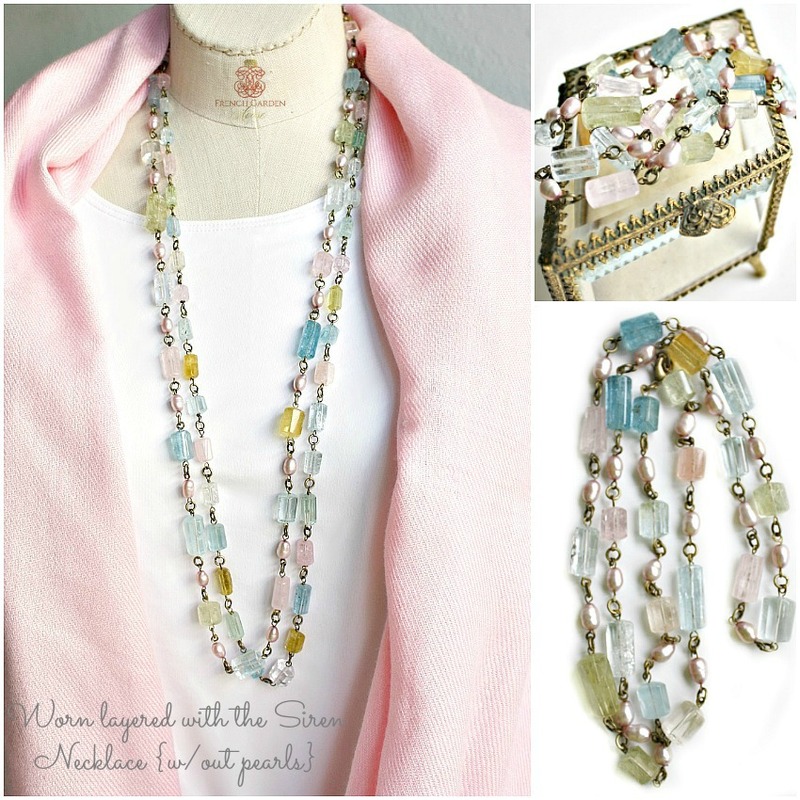 Designed and hand created, the gorgeous hand faceted aquamarine beryl, pink morganite, yellow heliodore, soft champagne green riesling and crystal goshenite stones combine with petal pink freshwater pearls in this gem. 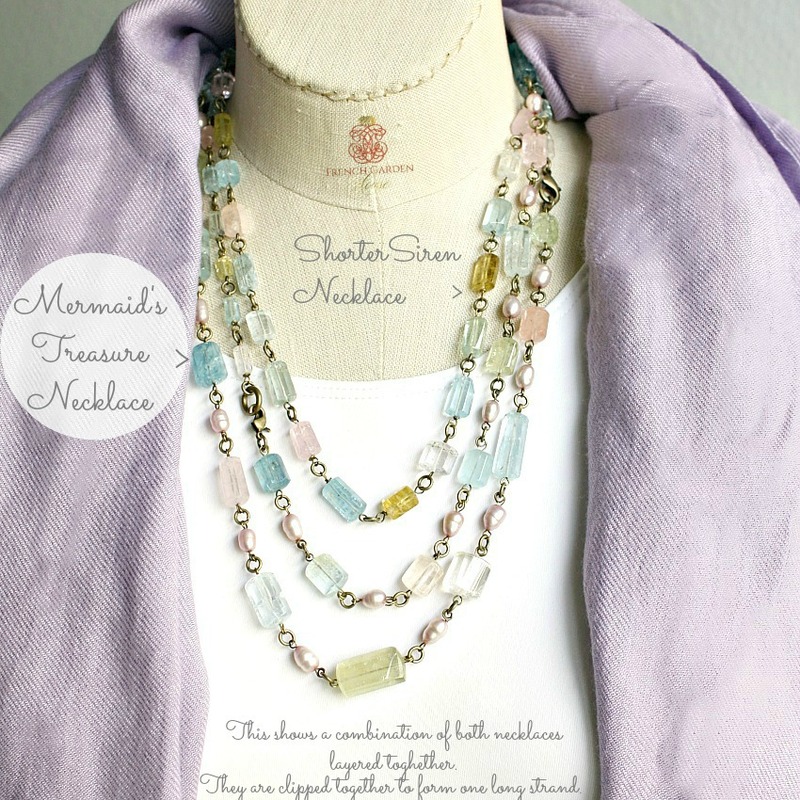 Lightweight and delicate, this softly colored necklace is gorgeous worn alone or layered with other necklaces in your jewelry armoire. A luxury gift for someone who adores romance, or for your own jewelry collection. The last photo show this clipped to a companion necklace and worn tripled.